Have you ever faced the problem of having a pimple on your face just before any special occasion? The first word that strikes your mind is ‘How to get rid of Pimples Overnight?’ A small pimple on your face is the biggest problem ever in your teenage. So, always you spend on expensive medicines and creams. If not you have to wear makeup to hide your Zits. But do you think reducing your pimples in a day is possible? No! You can’t completely get pimple cure within a day or two. 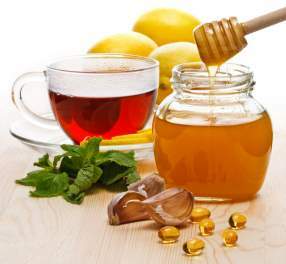 Home Remedies for Pimples are given here. So, know how to avoid pimples naturally forever using these basic steps. So that you can never search for instant pimple remedies. Pimples on the face are one of the most common problems encountered by the everyone in one or other time of life. But, don’t get disappointed. There are many natural solutions to get rid of Pimples forever. Pimple cure is offered by various physicians, but they are very expensive and may cause harmful side effects. So, Know these simple Home Remedies for Pimples and have a no pimples on your face. Know the Natural Remedies to remove excess oil from your face. The best of all the treatments for Acne is Natural Treatment. By using these home remedies for pimples, you can save your money, time. But the only thing is you need some patience to follow them regularly until they are completely eradicated. So, check all the Natural Remedies for Pimples here and use them as directed. Lemon Juice comes handy to treat the pimples. In fact, Both including lemon in your diet and directly applying to the skin is beneficial for us. 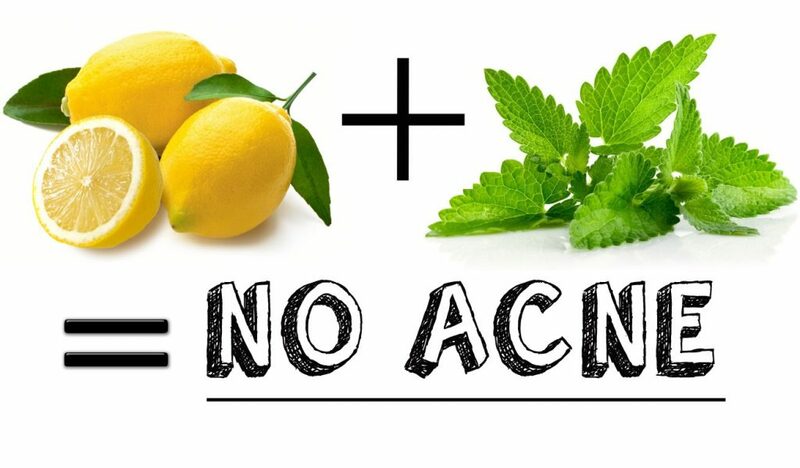 So, check out the uses of lemon in reducing your acne. Lemons are natural Anti-bacterial agents which reduce the growth of bacteria. Lemon Juice is acidic in nature and can cleanse your face removing the dirt clogged in pores. So, this is one of the Best Home Remedies for Pimples which is cost effective. It not treats the pimples but also the Blemishes left by pimples. So, Check the methods to use lemon to get rid of pimples. You might feel slight irritation but don’t worry its the lemon who starts its action on your body. Mix the fresh lime juice in a glass bowl and add honey to it. Mix them well and apply it on the face where you notice pimples. Rinse it off after 20 minutes. Repeat the same every alternate day to get better results. Take a ripe lemon and squeeze out the juice into a glass bowl. Add two Tea Spoons full of Besan Powder to the lime juice. Mix well and add milk to the Besan paste and apply all over the face to Get Rid of Pimple Marks. Sandalwood is the best known Home Remedy for Pimples. It is a must in the beautiful woman’s wardrobe from ancient times. It is a traditional method of curing various health related ailments. Sandalwood cools down the body and relieves stress. Besides being a Home Remedy for Pimple Marks, it treats aging signs, gives you clear complexion and makes you look young forever. So, know the best properties of sandalwood and include it in your beauty regimen. If you can get sandalwood sticks, you can prepare the fresh paste and apply. But, In these modern times, you can’t find much time. So, Get some Sandalwood powder from the market and mix it with Rose water or milk to get the necessary consistency. Apply it on the pimples ar acne and wash it after 30 minutes. If you are searching for the Best Home Remedy for Pimple Marks, then Sandalwood is the Best. 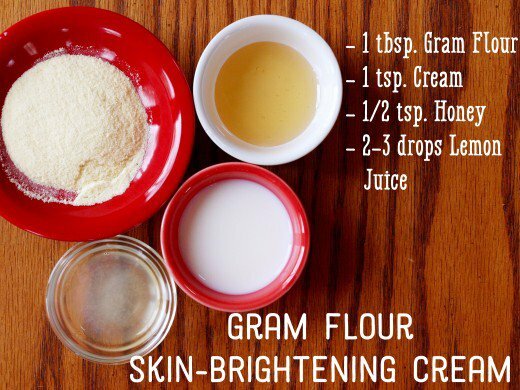 It cleanses your skin and Gives you Glowing Skin Instantly. To treat dark and profound Acne Scars, it is the best home remedy. Apply Sandalwood mask with few drops of lemon in it. 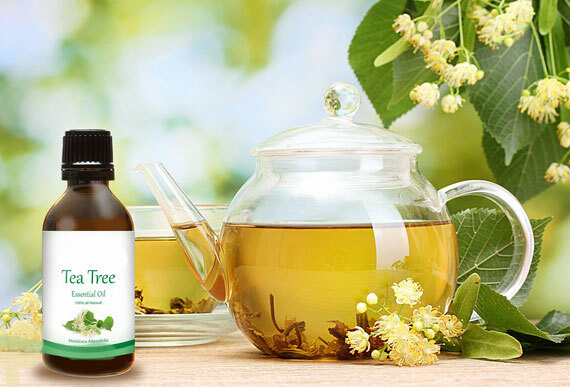 Tea Tree Oil possess Anti- Bacterial Properties. Besides Anti-Bacterial Properties it can easily penetrate deep into the skin and makes the pores, Oil Glands free from clogs. So, you can get a Pimple free Face Overnight. It causes drying of the solid inner content in White Heads, Black Heads, Pimples and removes pimples without leaving the Pimple marks on the face. So, it is the best home remedy for pimples overnight. Know how to use Acne Tea Tree Oil to Reduce Acne Scars. Dab an earbud in tea tree oil and just rub it around a pimple gently. Leave it overnight and wash your face with lukewarm water early in the morning. Even after your face becomes a pimple free, the pimple marks will be present as such on your face. So, to treat them you can add few drops of Tea Tree Oil in your Face Pack and apply it all over your face and neck. You can clearly see the visible changes in the intensity of the marks. So, start using Tea tree oil regularly. Take two tablespoons of Baking Soda in a bowl. Add rose water or ordinary water to it. You should mix it well until you get a thick pasty consistency. 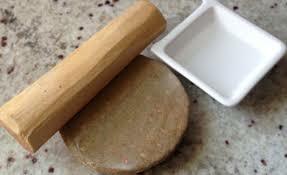 Apply it all over face and rub it gently in circular motion. 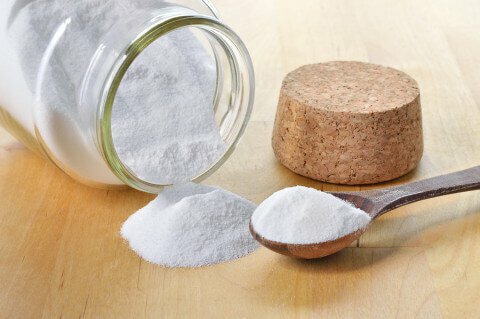 Take a Spoon full of baking Soda and add few drops of lemon juice and apply on pimple scars and leave it for 15 minutes. Wash your face with cold water and apply moisturizer. The first medicine on your prescription for acne will be Salicylic Acid preparations. But you never know that the hand full of mint leaves equally works like salicylic acid. Hard to believe, but it’s true. Those tiny mint leaves are rich in salicylic acid which helps you in reducing pimples. Mint leaves are one of the Quick Home Remedies for Pimples. Most of the Skincare products will contain menthol because of its healing properties. Not just pimples, but various Skin rashes, Sweat rash, Prickly heat and many other. Not only skin problems but also in hair care products like Anti-dandruff shampoos contain mint. So, don’t ignore this inexpensive, simple, readily available mint if you are looking for Acne treatment. Prevent Acne using the mint daily. Check the methods of using mint. Take some fresh mint leaves and wash them thoroughly. Add two pinches of turmeric powder to it and grind them to make it fine paste using some rose water. Apply this to face where Pimples or Pimple Scars are present. Use this mint paste thrice a week to get quick results. Mint Oil is readily available on the market. So, get mint oil and apply it on the pimples. This mint oil will help you in reducing the size of pimples and also reduce further outbreaks. Grind some fresh mint leaves with few drops of lemon. Add 5-6 drops of milk to it and apply it all over the face. All the blemishes left by the pimples will vanish like magic. Have you ever thought ‘How to reduce pimples without buying anything’? Then here is the answer. The small bushy plant in your backyard is the answer. Aloe Vera is the best Pimple treatment or Acne solution which you can find readily at home. Check how Aloe Vera helps in pimple cure. Aloe-Vera is the Anti-Inflammatory agent which reduces the size of a pimple and also swelling around it. Mix aloe vera gel with turmeric powder and apply on your face evenly. Repeat this for 3-4 weeks. You can see a drastic change, and you can get rid of pimples forever. Along with getting rid of pimples, you can also manage your aging signs with Aloe Vera. Take Aloe juice in a bowl and add glycerol, Rose water to it. Add Oats finally to them and grind well. These are the best Home Remedies for Pimples which you can use regularly. The above-given pimple treatments are a natural pimple reducing agents which do not possess any side effects. Whenever you start pimple treatment, or pimple cure measures use them regularly to get benefits on time. Also follow the tips to Avoid Pimples or Acne. Don’t treat severe Acne yourself because without your knowledge you might be causing more damage. So, follow these simple Home Remedies for Pimples and have a fair naturally glowing face.